Whatever reason you have for wanting to simply leave your job, you cannot just resign with a snap of your fingers. 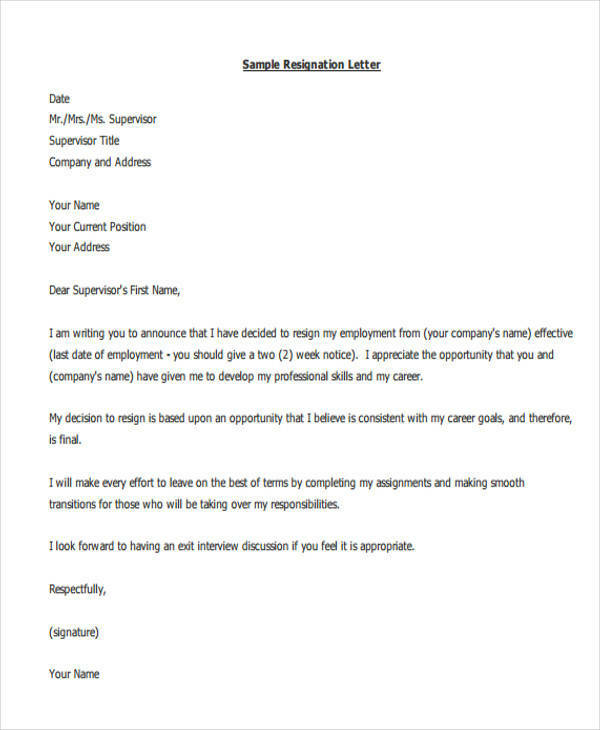 Just like making your own Resume Profile, you would need to go through a process that would require you to draft and create a company resignation letter to make your resignation official and also to notify your employers that you are leaving. 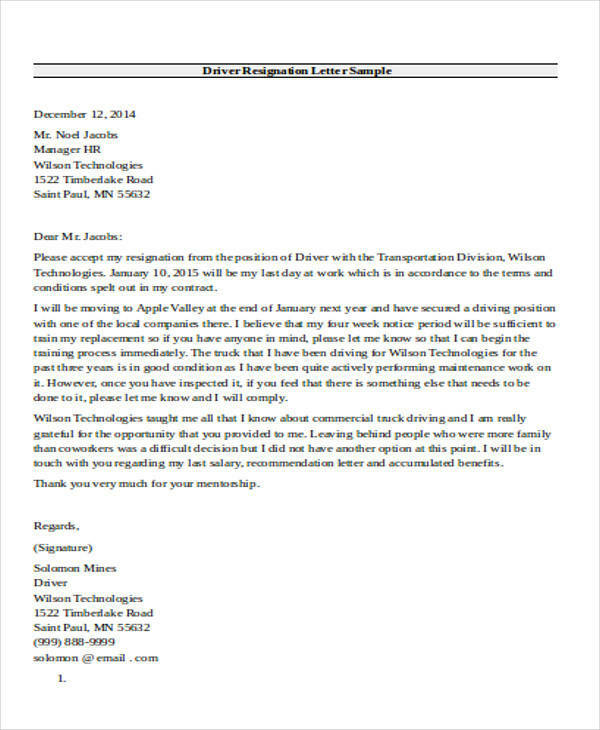 However, unlike your Resume Summary, your company resignation letter should only be brief and concise enough clearly indicating and stating that you are leaving the company, the reason why you are leaving the company, what you look forward to in the future, as well as expressing your gratitude. 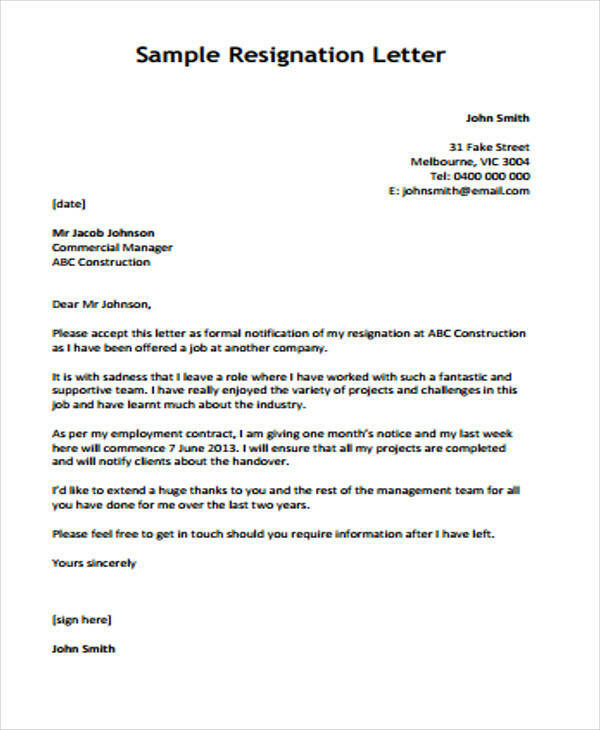 Also, you might as well check out samples of Company Letterheads as well as examples of Company Newsletters, which can absolutely be helpful with regards to the subject matter. 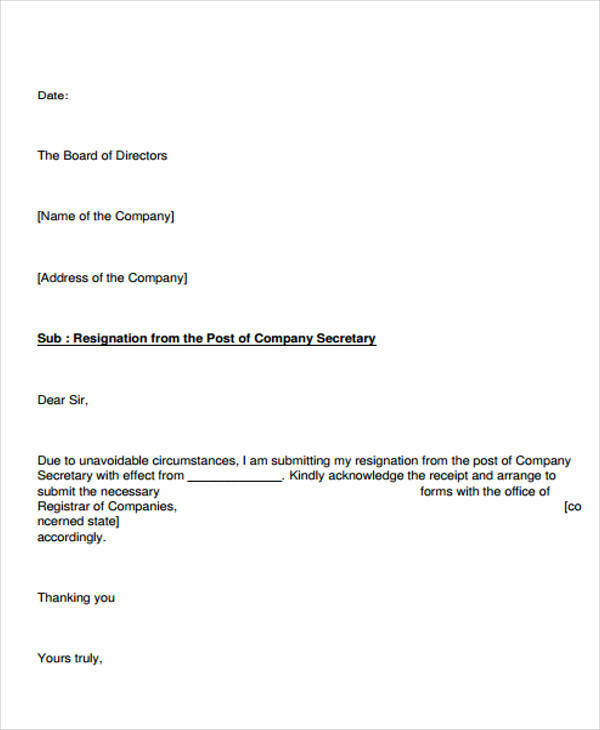 Below are some of the quick tips and some simple guidelines of how to write your own company resignation letter, a formal way of notifying the company or your employer that you are leaving before actually leaving the company. 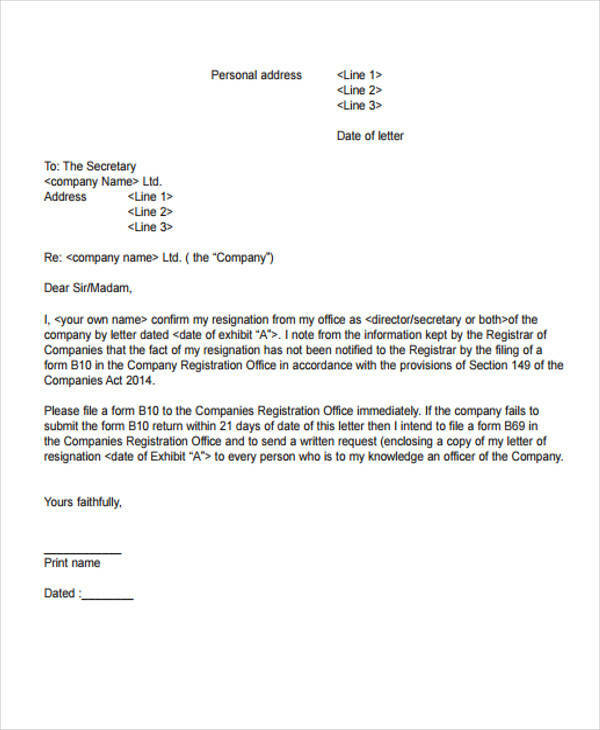 Complete all the essential needs – make sure that your resignation letter is addressed to the correct person, clearly specify the current date of when you wrote the letter as well as the effective date of when you want your resignation to be effective. Careful not to mix those two up. 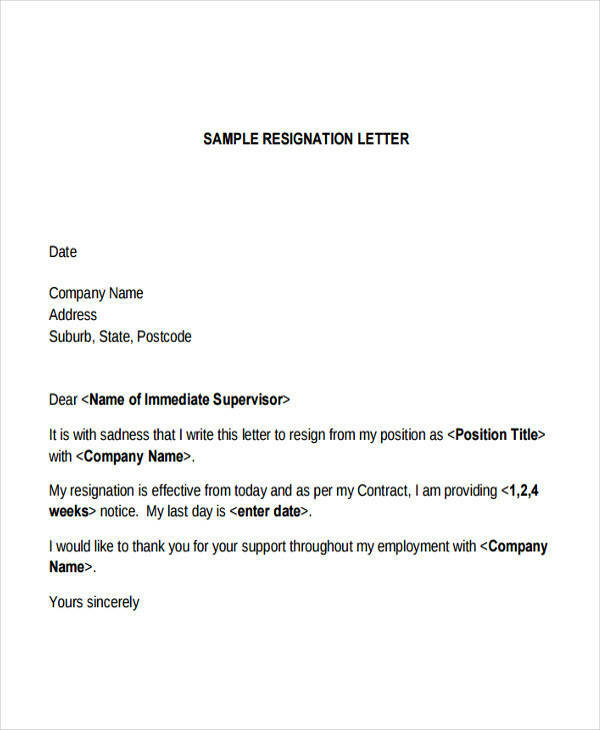 Also, remember to include your career position name on your resignation letter. Speak positively – it never hurts to once in a while mention the positive things that you have experienced during your time in the company as well as how it benefited you professionally and personally. This would also reflect your character and how you want to be remembered as an employee as well as a colleague. Express your gratefulness – thank the company and your employer. No matter how long or how short your stay is in the company or with your employer, for sure you have learned skills that are useful and that would look good and impressive on your resume since you have started working for your employer. Other than that, it is always a good thing to say thank you as well as acknowledging your employer. 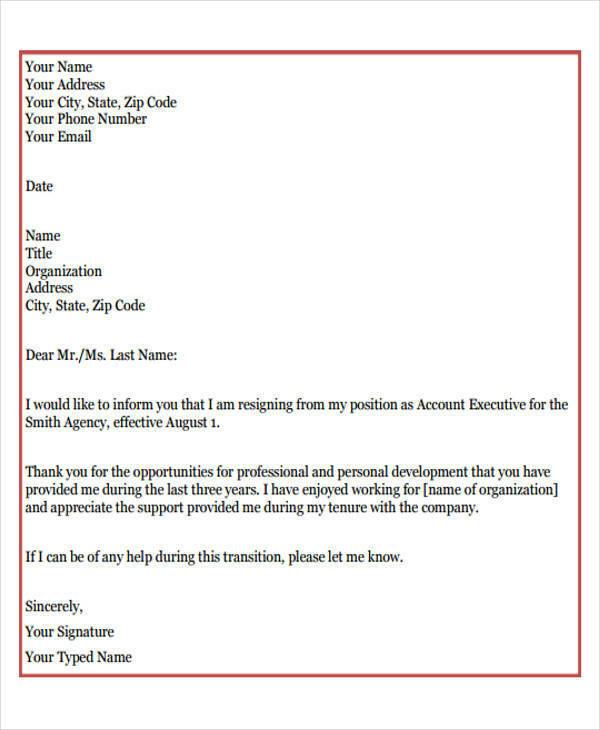 Standard template goes a long way – according to Seek, when using standard templates for your company resignation letter, it actually includes all the formal elements as the well as the guidelines on how to organize and where to put the essential and necessary information along with the details that you would need to be able to come up with a professional resignation letter that you will be submitting to your employer. Do not burn bridges – it is always important and recommended to build relationships wherever you go, especially in the workplace. It would also come in handy when you would need your former senior or manager to act as your reference on your future career endeavors. Aside from that, it is always a good idea to keep your professional network healthy and alive. 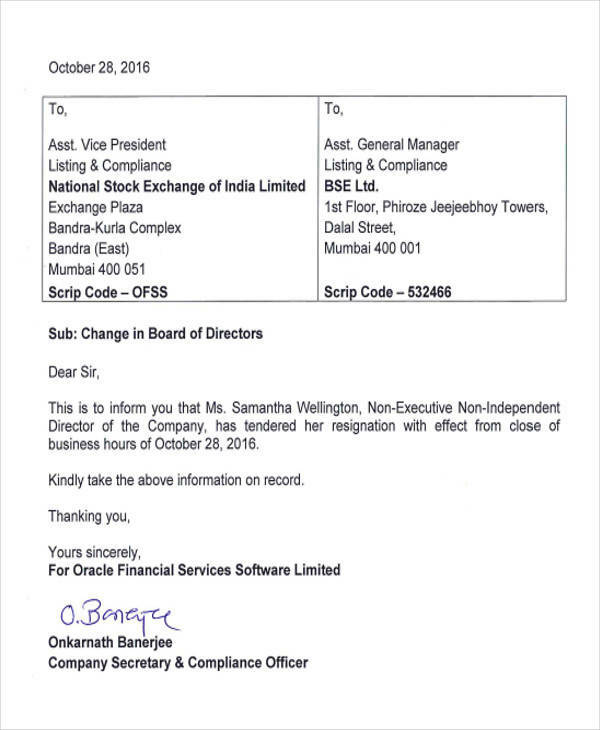 We also have Retirement Resignation Letter as well as Board Resignation Letter should you find the need to use them.